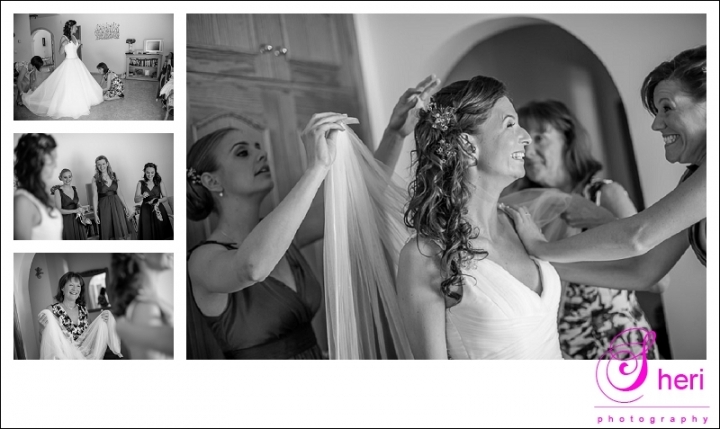 Debbie was getting ready at her parents house in Javea, she was soooo happy and ever so excited she was finally going to marry her love of her life! The ceremony took place in a church in Javea and all her family and friends where present. Paul was so nervous but once the ceremony was over he felt as chilled as Debbie. They had cocktails and canapes at the harbour in Javea at a place called, Cala Bandida. The views up there where so gorgeous. This was followed by a photo shoot of the bride and groom and after that it was dinner and party time at Le Chalot. Amazing food and lovely employees! The party with live music kept going until the early hours and boy did everybody had a fab time! Debbie and Paul, you guys rock! Woop woop! as Debs would say;-) Thanks for letting us be part of your amazing wedding day!